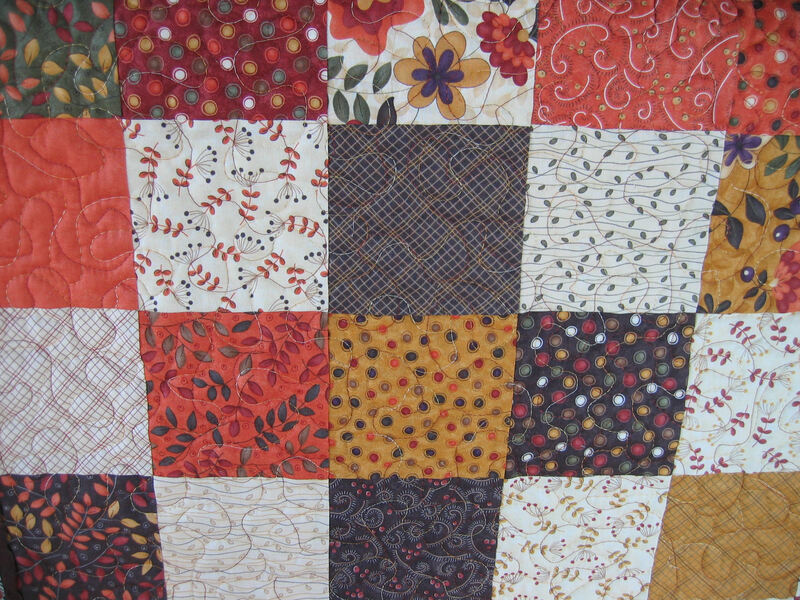 One of the lovely ladies at the quilt retreat weekend I enjoyed in September gave me a ‘charm pack’ of 42 five inch squares in lovely autumnal Moda fabrics. Autumn/country colours are not the sort of colours I typically work with — I favour bright colours. But these squares were really quite pretty. They were too small to use individually in various projects, and besides, someone had gone to a lot of thought putting together this bundle, making sure all the fabrics matched each other. It seemed a shame to split them apart. So I decided to make a lap quilt from them. Just a simple one. 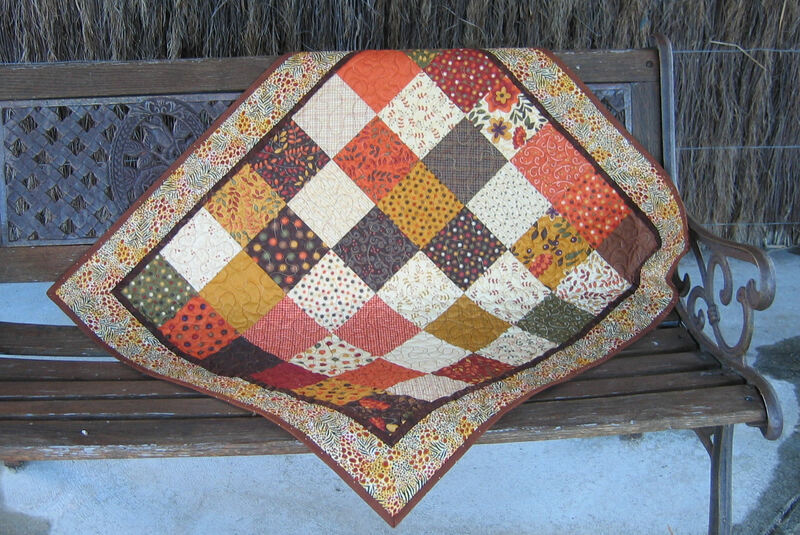 Nothing fancy — just joining the existing pieces together without cutting or doing any other piecing. Then adding a border and binding using fabric from my stash. 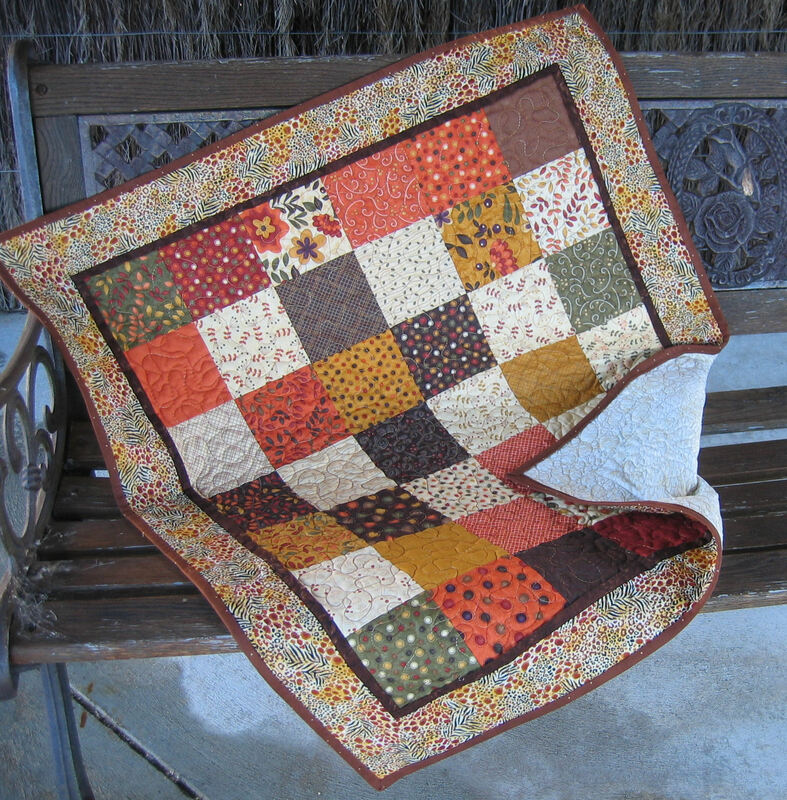 Oh, I also decided to add a ‘peeper’ — that dark brown flap of fabric that sits between the main top and the border. I free-motion quilted the main top in a large meandering stipple in various rayon threads, and quilted the border in a free-motion pebble motif. 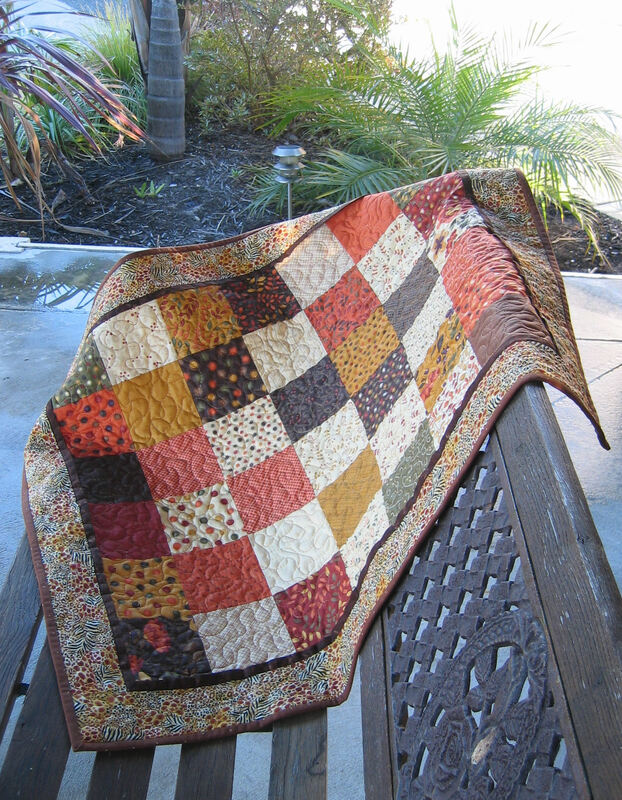 I gave this quilt to my work colleague and friend, Susan, after she told me how much she loved it! 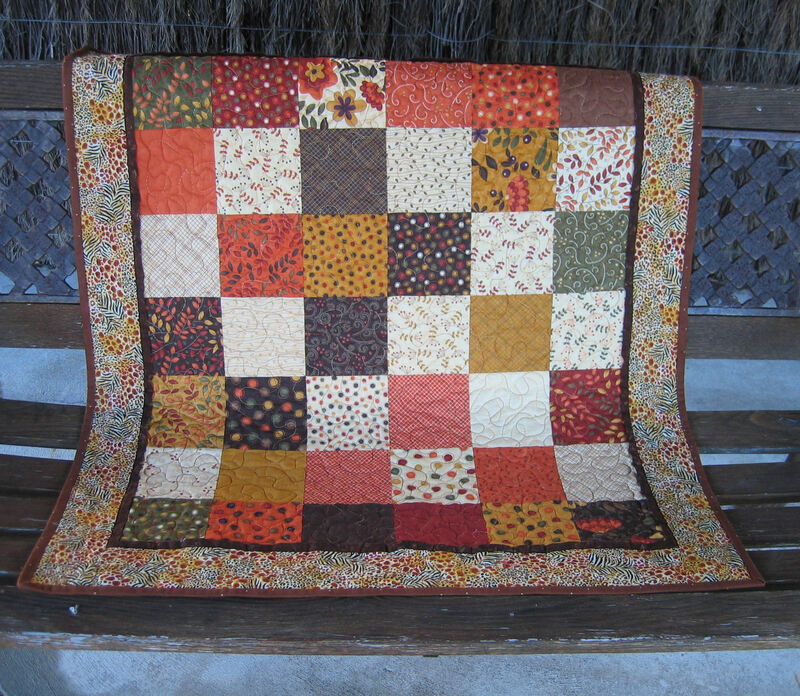 I really like it when quilts go to a home where they will be appreciated.